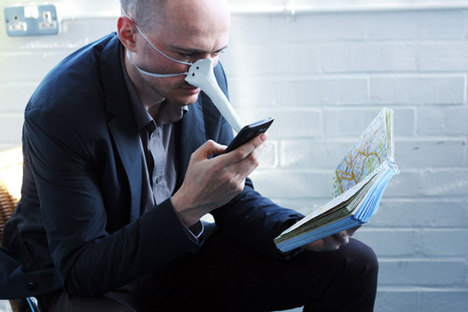 London designer Dominic Wilcox created this stylus that straps over his nose for using his touch-screen phone in the bath. 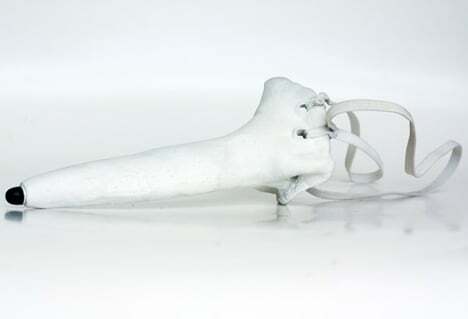 Called Finger-nose Stylus, the device is made from a handheld stylus embedded in fibrous plaster. 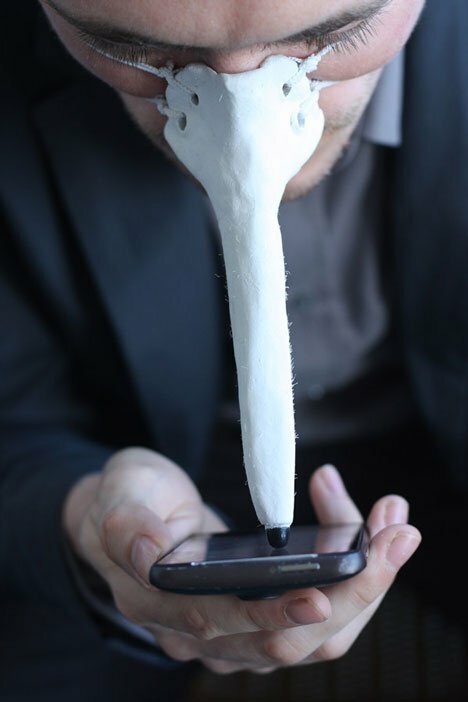 It allows the user to securely hold the phone with one hand and operate it with their nose. 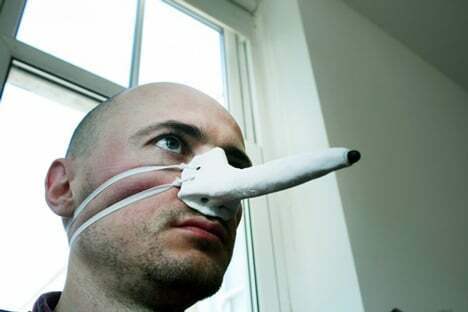 auto-correct it sent it as… ‘Hello I am meeting with my nose’. It’s also handy when out and about multi-tasking. I imagine it would be a great accessory for iPad users. Although this is handy for me in the bath it touches on possible uses for people without use of a hand. Though the design could be made more ‘subtle’ for everyday use maybe coming from around the neck.